This is a most impressive project. SMEM (swiss museum for electronic music instruments) aims to establish as the worlds first platform for electronic music instruments. 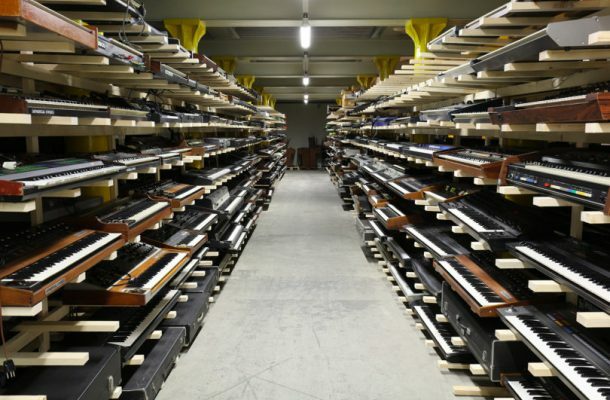 The first base of this project was laid by the incredible collection of Klemens Niklaus Trenkle who for the last 35 years collected numerous and valuable synthesizers, organs, keyboards, effects- and studiogear. SMEM is located in the innovation center of the “BlueFactory” in Freiburg-Fribourg (Switzerland). It will gradually build up its different activities on an international level while increasing its current collection. LEGOWELT is doing an album for their ongoing kickstarter. My only reason to go Switzerland ha ha.